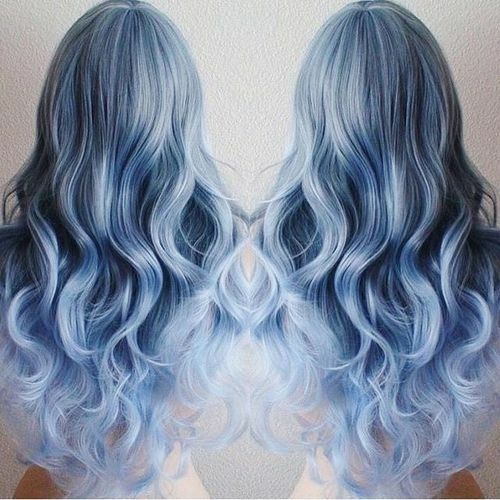 Blue is a gorgeous colour which is oh so popular when it comes to fashion – so why not when it comes to hair too? We’ve gathered some images of gorgeous ladies who have bucked the trend and opted for beautiful blue tones to grace their luscious locks – and each of them looks simply stunning. 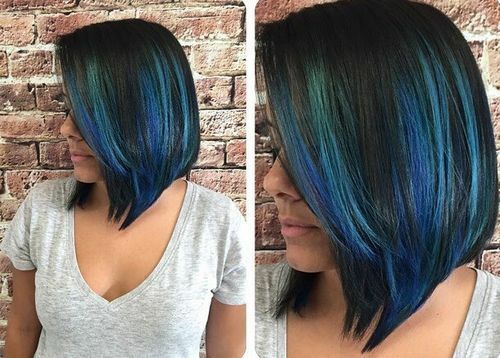 Let our bold, blue ladies inspire you to go for something a little different with your next cut. Let’s talk blue! 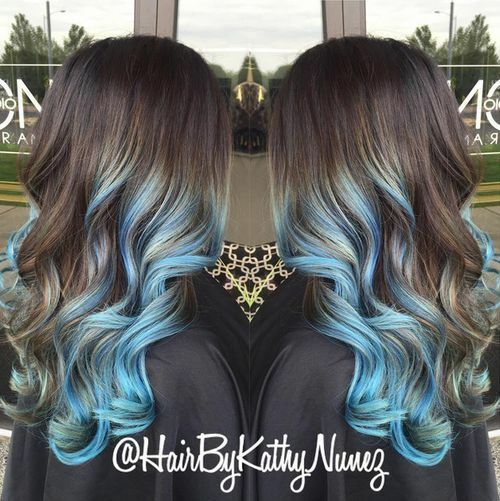 This stunning hair cut doesn’t simply consist of one striking blue tone, but rather a rainbow of blue hues worked together in a simply striking ombre effect! Her absolutely beautiful, thick and curly hair starts with a deep pastel blue at the top, and transitions seamlessly to a gorgeous powder blue at the tips, creating a lovely gradual spectrum of colour. 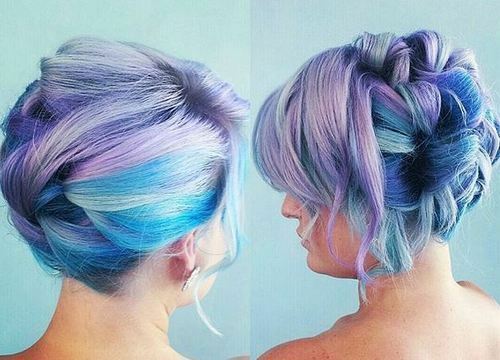 This simply striking and romantic hair style goes from a lovely lilac colour at the root to a deep turquoise blue throughout the bulk of the hair from a seamless ombre transition, and has been worked into a gorgeous braided style to highlight the colour. She’s worked a french braid from the fringe back to one side for a unique half up-half down pinned hair style finished with ringlets. Of course, if we’re going to work one vibrant colour into our hair, there’s no need to stop there is it? 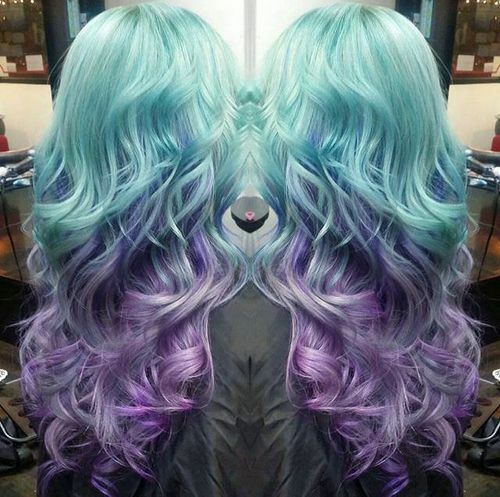 This stunning hair starts a stunning bubblegum blue at the top and transitions seamlessly into a lovely lilac at the bottom, fusing these two pastel shades together in a gorgeous curly style which is just to die for. This would look equally amazing when straight. 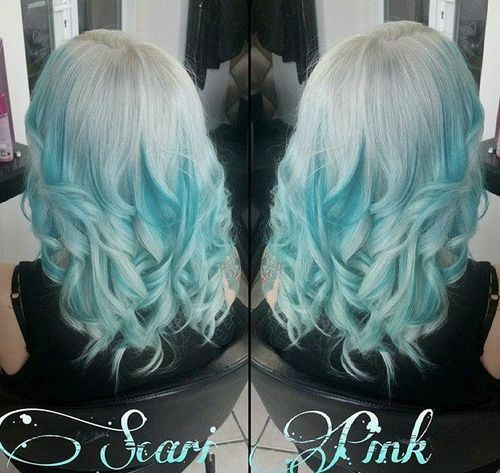 Another beautiful blue hairstyle that is simply to die for, this lady has accentuated her glorious ringlets with a truly lovely icy blue tone that fades from dark to light throughout the length of the hair. 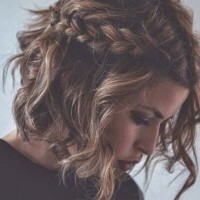 She’s swept her ringlets over to one side with a very side parting, creating a gorgeous sweeping effect for the fringe section that we simply adore. Rather than transitioning from blue to another colour, this impeccably stylish lady has transitioned from a gorgeous shiny silver tone to a turquoise blue; and we think it looks absolutely incredible! To highlight this gorgeous colour transition even further, she’s curled her shoulder length hair into tight ringlets throughout for a beautiful, bouncy finish. 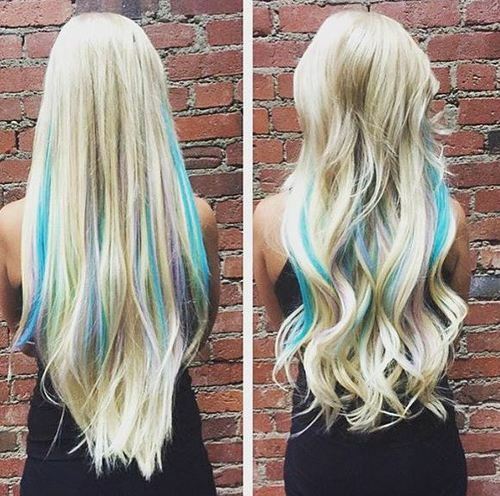 If you’ve always fancied yourself as a mermaid, then using this stunning hair as inspiration is about as close as you can get! This wonderfully stylish lady has lifted her long and loosely curled hair with a beautiful ombre colour transition that works from a denim-toned blue, through to an incredibly light powder blue and finished on a bright electric shade that we love. 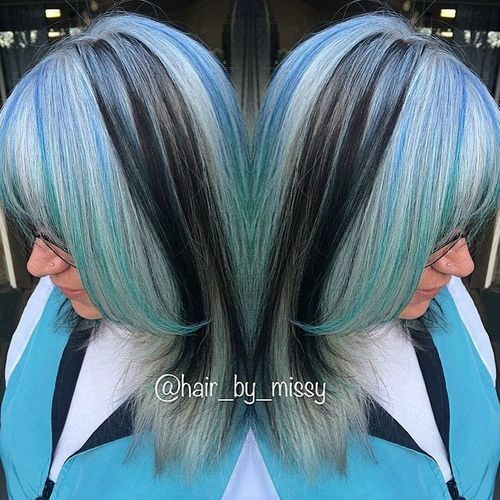 This absolutely breathtaking hair style compliments the gorgeous multi-toned blue colour spectrum that features on this lady’s wonderful hair. 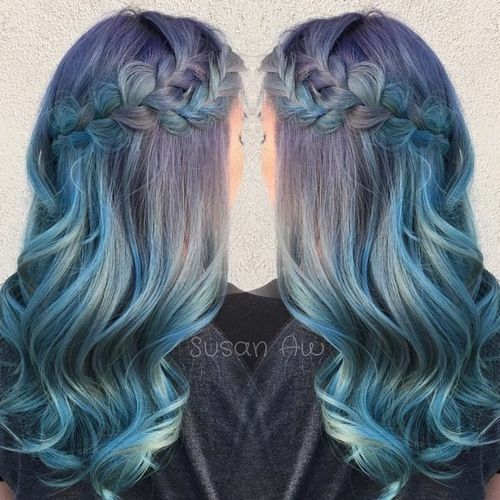 Blending from a deep blue to a wonderful light blue, this lady has accentuated the colour blend by sweeping her hair into a wonderful and chunky french braid from root to tip. 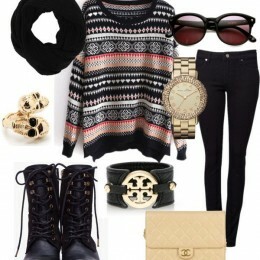 We just love this look! Why work one beautiful pastel tone into your luscious long locks when you can work two like this amazing and stylish lady has done? Her glorious deep brown hair has blended into a striking golden blonde which melts into an icy blue and is finished with a lovely lavender. The ends are curled in ringlets to showcase this impeccable colour scheme. If you fancy implementing a pop of colour into your hair without completely dying your hair one bold shade of blue, then why not do as this lovely lady has done by opting for bright highlights of blue and purple against her natural blonde hair? These colourful highlights add personality to her stunning long locks, which look equally amazing when straight or curly. 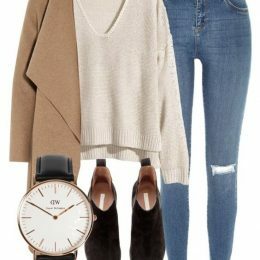 Having previously showed you a beautiful blonde and blue look, we felt it was only fair to show you that blue tones work equally well with rich brown hair! This lady’s gorgeous hair has worked a chocolate brown with a stunning electric blue and the blend looks utterly gorgeous – especially because of the remarkable curls that finish this style off. 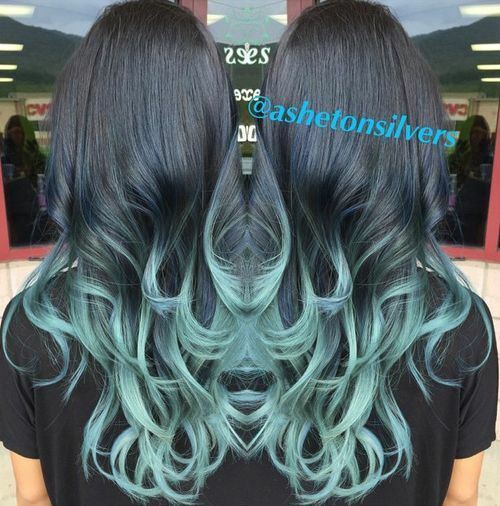 If you’re opting for blue highlights to bring life to your hair, then don’t feel the need to be subtle! Bold is beautiful, as this lovely lady has proved! She’s opted for chunky royal blue highlights against her beautiful and totally on-trend silver hair, and the two colours work together to create a really striking and unique finish; especially against those curled ends. Blue tones look equally amazing on short hair as they do on long hair – so if you have a cropped cut we still urge you to be brave with your colour! This lady has a stunning graduated bob which is longer on one side than the other, falling into a lovely curly fringe on one side. 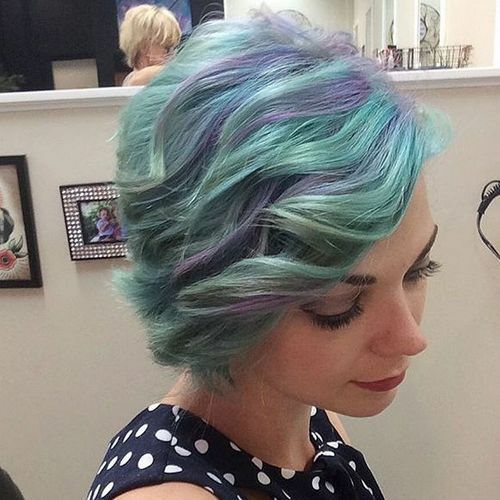 She’s worked turquoise and lavender highlights throughout to inject personality to the cut. This lady has worked a beautiful bright blue into a gorgeous and bouncy bob which finishes around the jaw line and has a lovely, straight fringe across the forehead to frame the face. 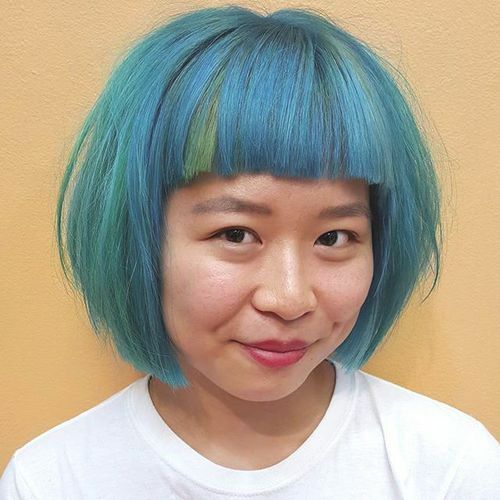 This lovely girl has opted for subtle green highlights to work with the vibrant blue colour and we utterly adore the finished product; especially the straight style. 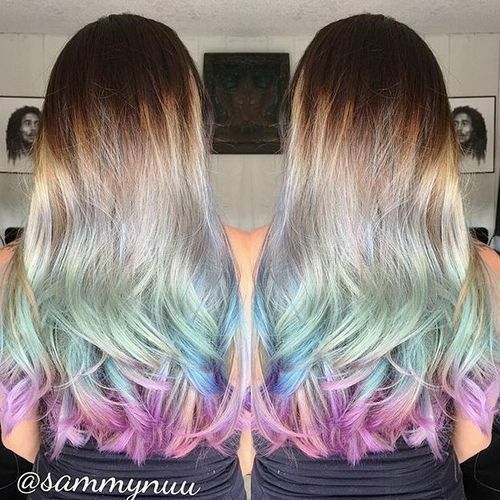 This cool and contemporary girl has worked blue into her hair amongst a plethora of other pastel tones to create a gorgeous rainbow ombre look that is full of beautiful pastel tones. 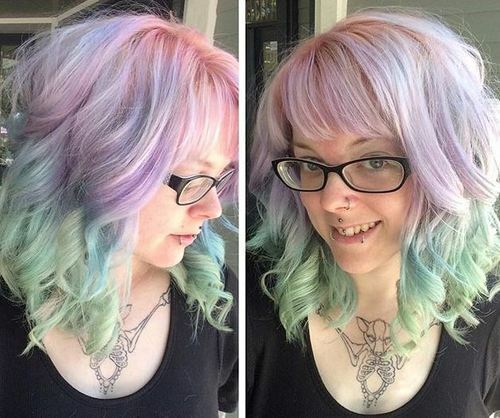 From pink to purple, blue to green, some of our favourite pastel shades blend together beautifully and are highlighted by the lovely tight ringlets this girl has worked into her style. This lady has a beautifully straight and sleek hairstyle which is finished with a long side fringe and layers which graduate longer around the jaw line, framing the face. She’s brought her lovely straight hair to life with a selection of incredibly bold highlights in blue, black and silver. These stripes work together to create a vibrant and fantastic finish. This lady has injected some life into her absolutely beautiful black graduated bob by adding a subtle under layer of royal blue into the style. 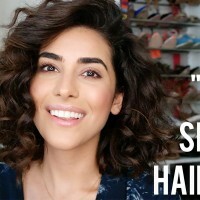 Her hair is longer at the front then cut in a subtle slope, finishing shorter at the back, and has a lovely long fringe section. It’s a gorgeous glossy black colour, but she’s added a beautiful blue section to perk it up. This bold and brave lady has decided that her lovely dark blonde hair isn’t quite enough, even though it is long, thick and oh so glossy. 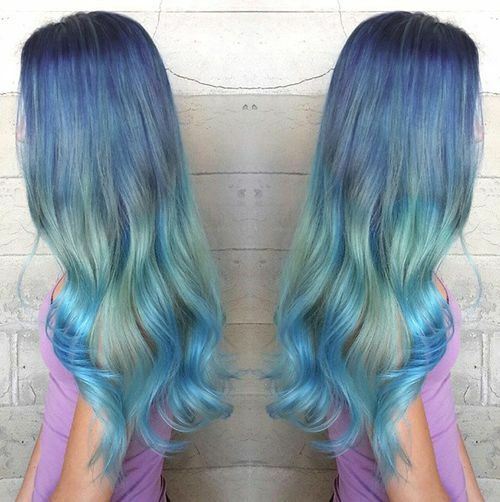 Indeed, she’s taken her stunning hair to the next level, by introducing a stunning bright blue layer underneath. 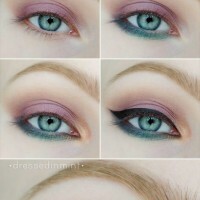 This might not be immediately visible, but the wonderful hidden layer is a fabulous surprise that we absolutely love. Purple and blue work together like peanut butter and jelly – as this lady proves with her beautiful hair style that fuses the two stunning tones together seamlessly. 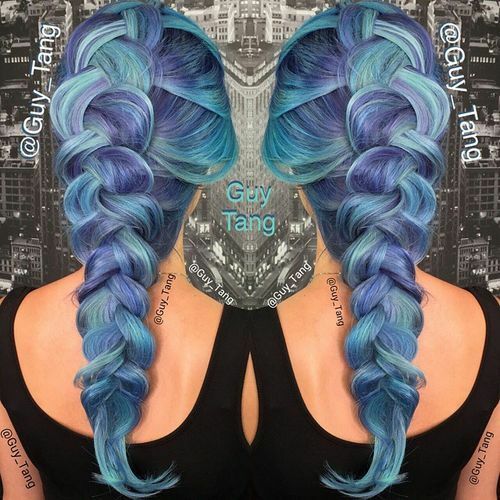 Her hair is a beautiful pastel purple with bright blue and baby blue sections, and she’s worked it into a stunning braided up do that looks intricate and beautiful from the back and falls in soft curls around the face. 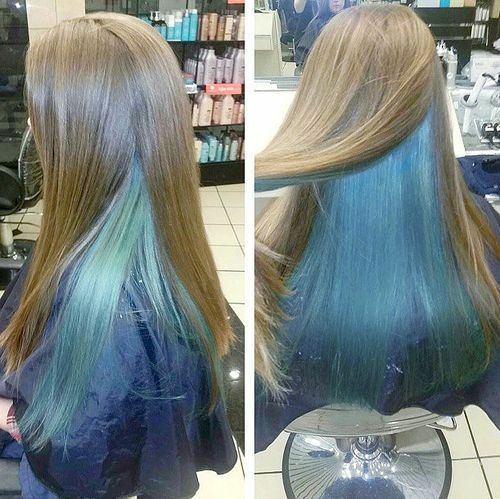 This fabulously fashionable female has lifted her lovely long hair by opting for a petrol blue to baby blue ombre blend that looks simply striking. The two blue colours work together in an impeccable way, and the lovely transition is showcased to perfection by the loose ringlets this girl has worked into the bottom section of the hair to add body. 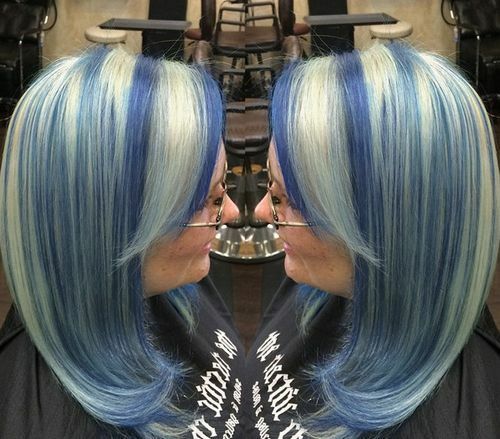 You might never have previously considered blue as an option for colouring your hair, but this gallery has proved how beautiful blue shades can look on all types of hair colours, lengths and styles. Styles Weekly hopes to help you find the perfect hair style for you, no matter what you’re looking for!